Dr. Tan Ching Yam (陈清业博士) is a talented and multi-skilled artist who has won many awards for his Calligraphy and Chinese finger paintings. He learned finger painting from the famous finger painter, Mr. Wu Tsai Yen. For the past 25 years, Dr. Tan had participated in many Group Art Exhibition in Seoul (Korea), Japan, Beijing, Shanghai, Suzhou, Luoyang, Anhui, Anyang, Hangzhou, and throughout Asia. 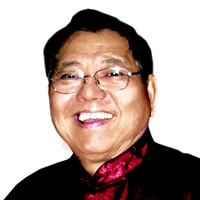 Dr. Tan is also a honorary academician，a writer (author of over 6 books) and an art educator—he has since taught and mentored thousands of students worldwide. His passion shows fervently in the classes that he’s teaching in, often combining the relevance of modern day’s culture with the Chinese arts, allowing students to enjoy both enriching and insightful classes. Do contact us through the form below for the latest classes in Finger Painting, Chinese Arts and Chinese Calligraphy for the year 2011. Thank you for your warm response and have a great week ahead!